This past weekend, we had several houseguests over for dinner. For these houseguests, we had a very summer-y American meal: we made some potato salad, fired up the grill, and cooked a few things. The only catch is that my current dietary restrictions keep me from eating meat and dairy products. What can we do to have such a summer meal that I can eat while still pleasing everyone? Our solution was two-fold: we made a batch of black bean and quinoa burgers for grilling and we made a potato salad that I could easily eat. I’ll talk about both of these today. Our black bean and quinoa burgers are based on a recipe we found in the July-August 2011 issue of Vegetarian Times, modified a bit. We really enjoy the ideas and recipes in this publication because they do a fantastic job of making vegetable-heavy meals really tasty. 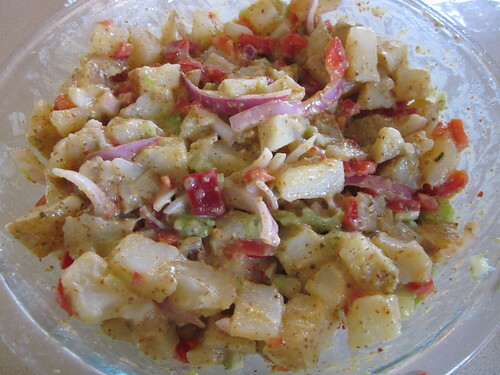 The potato salad incorporates ideas from all over the place, though there happens to be a somewhat similar potato salad recipe in that same issue of Vegetarian Times. The biggest step you’ll need to take in advance is to cut up all of the vegetables you’ll need and store them appropriately. You’ll also need to cook the black beans (if you’re not using canned beans, which many people do for convenience). First, let’s talk about the burgers. Cook the quinoa and salt in 1 1/4 cups of water. Raise the water to a boil, then allow it to simmer for 20 minutes. All of the water should be absorbed by the quinoa. 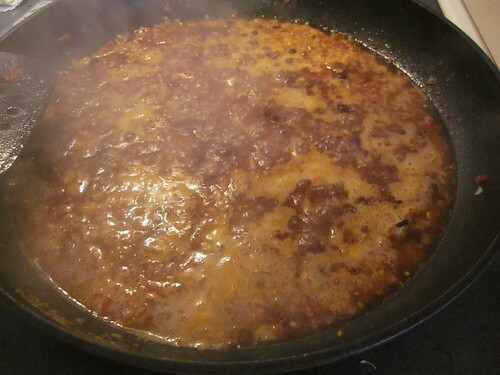 Put the onion and the tomatoes in a skillet and cook them for four minutes, then add half of the beans, the garlic, the seasoning, and 1 cup water. Simmer this for five minutes or until virtually all of the liquid has evaporated. 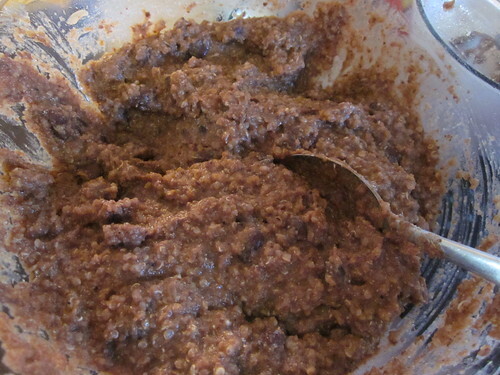 Add half of the quinoa to the bean mixture, put all of it in a blender, and puree it until it’s a thick paste. Mix the paste together with the remaining beans and quinoa. Shape the mixture into eight burger shapes, then cook them in the oven for ten minutes – just long enough so that they hold together well. After this, you can grill them to your heart’s content. I find that they were pretty good after about 3 minutes on each side over medium heat on a propane grill. And there you have it! Top the burgers with whatever burger toppings you like and serve them on a bun. I used brown mustard, rice cheese, tomato slices, onions, and a pickle slice on top. What about that potato salad? 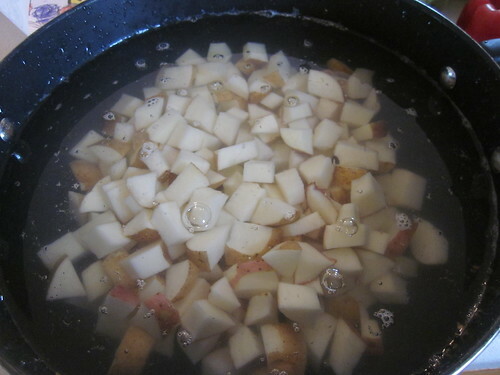 The first step is to boil the cubed potatoes. Cover them in water (with an extra inch or so of water on top) in a pot and boil them for about five minutes so that the potato cubes are tender but not so soft they’re falling apart. 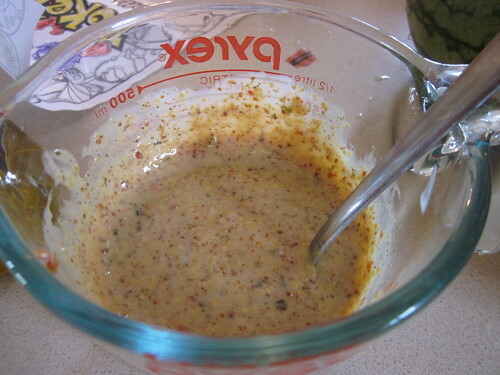 Mix together the mustard, yogurt, salt, pepper, and olive oil into a liquid mixture. This will effectively be the “dressing” for your salad. Then, mix together your “dressing,” the potatoes, and the remaining vegetables. Toss them so that the vegetables are coated in the dressing, then chill and, when ready, serve. 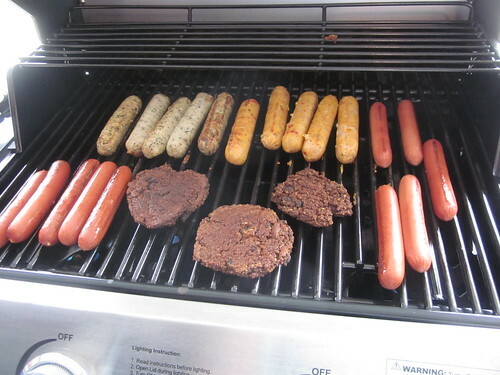 Whenever you’re grilling, you have a lot of flexibility. 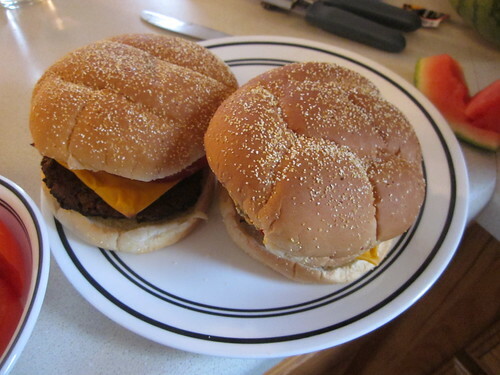 Try different seasonings in the burgers. 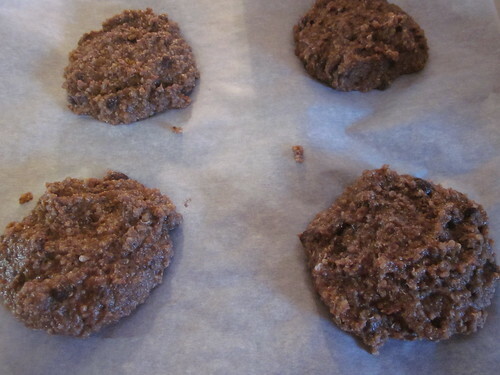 Use hamburger instead of the black beans and quinoa – or mix two parts hamburger with one part black beans and quinoa. Try different toppings on your burgers. No two burgers ever need be the same. The same goes for the potato salad. Add hard-boiled eggs to the salad for some great texture and flavor. Use mayonnaise as an alternative to the yogurt. Try different herbs and spices. The possibilities are endless.